The Gloves Are Coming Off This Weekend! Gloves will be sure to come off this weekend! 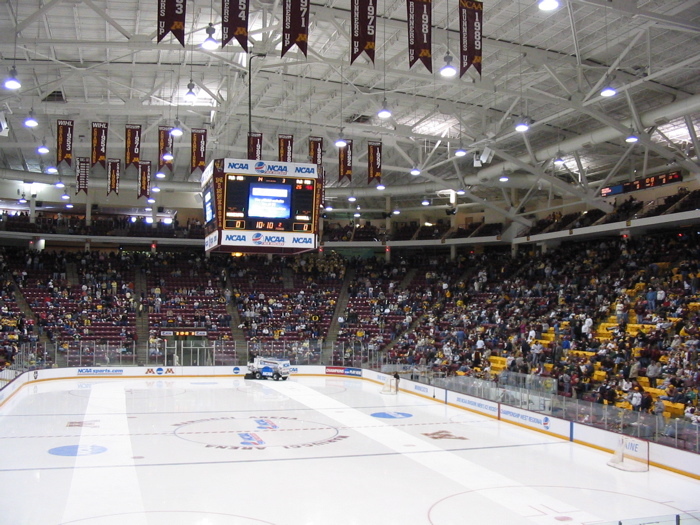 This weekend, Mariucci Arena will play host to the end-of-year Border Battle between the Badgers and Gophers mens hockey squads (yes, that means this is a hockey post. Don’t worry, I consulted with Denis Lemieux to learn the finer points of hockey.) In a complete 180 from recent years, the Gophers are the team to beat while the Badgers are the struggling bottom-of-the-standings squad. Yet, games between these two are always hard-fought – and sometimes literally. The Gophers enter this game on top of the WCHA Standings. And because they swept the UMD Bulldogs back in October, the Goph are in the driver’s seat to claim the MacNaughton Cup. 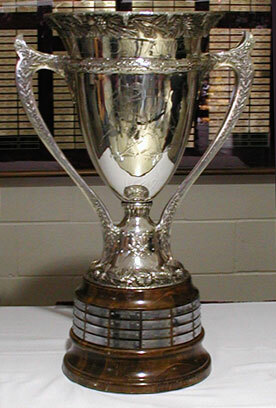 Two points guarantees a share of the title, while three points guarantees they will be skating away with the MacNaughton Cup. Regular season titles do not earn them a place in the Big Dance. Still, the regular season title will mean a lot to this group and should have the Goph fired up this weekend. There are still some concerns for the Gophers, though. After starting the season by winning 10 of their first 11, the Gophers have barely been over a .500 team since. They’ve won their last four games, but those came against two squads they should sweep. There are some injury concerns too with Nick Bjugstad, the stud center on the top line, suffering an undisclosed injury in last Saturday’s game. Bjugstad has missed some practice time this week, but is expected to play. Meanwhile, Nick Larson and Ben Marshall could return to the lineup. Larson has been out for nearly two months with a wrist injury, and Marshall was out last weekend with his own undisclosed injury (did The Don go to the Bill Belichick school of preparing injury reports?). Another interesting aspect of the weekend is that it is Senior night on Saturday. If Larson is healthy enough to go, The Don will have a tough decision to make between which two to start between Seth Ambroz (the enforcer – which will particularly come in handy at the end of the weekend when things get chippy), Nico Sacchetti, and Larson – the latter two are Seniors. You would guess part of his decision-making will hinge on whether the MacNaughton Cup is wrapped up or still left to be won. As for the Badgers, although they have been one of the better teams year-in and year-out recently, this years downfall was not unexpected. They lost three key players from last years squad. Still remaining is a player many argue has no business being in the college ranks still – Junior defenseman Justin Schultz. Schultz has 42 points in their 32 games. Outside of Schultz, the Badgers go as their top line goes. Scoring from their second line and down is rare. This is undoubtedly a rebuilding year for the Badgers, who are loaded with some top, young talent and hardly any veteran presence (only one senior on the roster). Both goalies are freshmen, including one from the US Developmental League. Meanwhile, there will be two native ‘Sota freshmen donning the Red and White this weekend and making their first trips back to Mariucci – Joe LaBate and Patrick Daly – two products of private schools in the Twin Cities. Of those two, LaBate is the only one making a difference on the squad, currently sitting fifth in points on the team with 20. Despite their inexperience, the Badgers will look to prevent their Border Rivals (see what I did there?) from celebrating the regular season title at their expense. Remember, this same Sconnie squad split the series back at the Kohl Center. Since their last meeting, Sconnie is a .500 team and currently on a 3-game winning streak. Expect the pesky Sconnie’s to give the Goph all they can handle. Assuming it gets chippy, as is bound to happen between these bitter rivals, the Goph have the clear edge on special teams: Goph are ranked second in the conference in both power play and penalty kill percentages, while the Badg are 11th in both categories. The Goph OOOOOOWNS, OOOOOOWNS the series over the long haul. But that is of little difference to this weekends games because the Border Rivals do not like each other. Gloves should hit the ice. The players better put the foil on! This entry was posted in Badgers v. Gophers and tagged Badgers Hockey, Ben Marshall, Border Battle, Border Rivals, Denis Lemieux, Don Lucia, Goldy, Goph, Gophers Hockey, Joe LaBate, Justin Schultz, MacNaughton Cup, Mariucci Arena, Minnesota Golden Gophers, Minnesota Hockey, Nick Bjugstad, Nick Johnson, Nick Larson, Nico Sacchetti, Patrick Daly, Sconnie, Seth Ambroz, Slap Shot, University of Minnesota, University of Wisconsin, WCHA, Wisconsin Badgers, Wisconsin hockey. Bookmark the permalink.